Cardiff’s Joe Cordina (7-0, 6KO) hopes to bring big time boxing back to his hometown on a regular basis and that hunger may soon be satisfied. 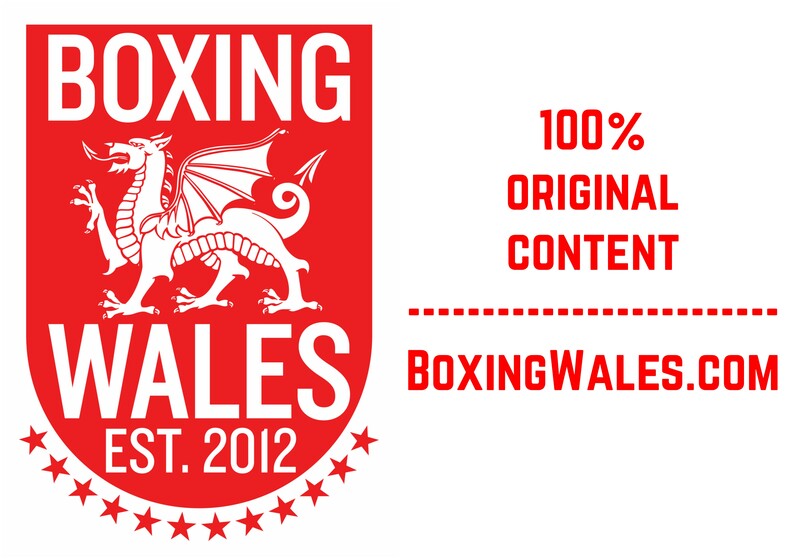 BoxingWales.com understand that Matchroom Boxing are seriously considering bringing a #JDNxtGen show to the Welsh capital in the summer and it could be hosted at the 3,500 capacity Ice Arena Wales in Cardiff Bay. 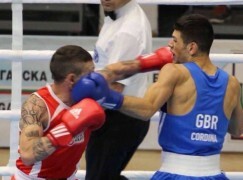 Cordina ditched the amateur set up with Team GB less than a year ago and the lightweight is already showing all the signs of becoming a major player on the British professional scene. However, the 26-year-old is refusing to call out other domestic operators in his weight division. 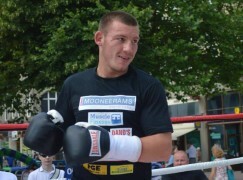 He said: “Listen, whoever I fight, that’s down to Tony [Sims – trainer] and Eddie [Hearn – promoter]. If they say I’m fighting whoever, I’ll fight them. I’m not one of these to call out names to build up fights. 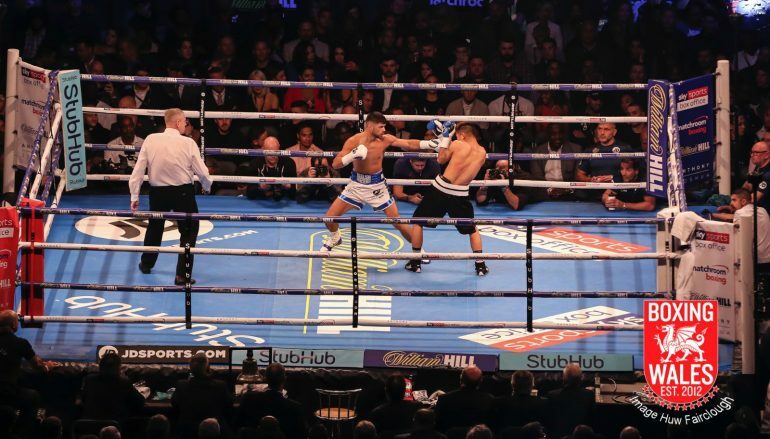 Last month, the newly crowned World Boxing Association [WBA] International champion captured his first title as a professional on the undercard of Anthony Joshua’s world heavyweight title unification in Cardiff’s Principality Stadium. Cordina, a European Championships and Commonwealth Games medallist, disposed of late-replacement Hakim Ben Ali (19-6, 1KO) in less than nine minutes to win the belt – which may not be prestigious but will serve as a stepping stone to bigger honours. It was the first legitimate stoppage defeat the Belgian, who has mixed in good company, has suffered and Cordina made it look like routine work. Reflecting on the experience, Cordina said: “I’ve had over 180-odd amateur fights and 10 day tournaments, fighting five different opponents, who I don’t know anything about. For me, it’s no problem, I go in there after 13 weeks of hard draft, sparring all sorts of different opponents. “The late replacement didn’t bother me, I know I can adapt. It was a case of going out there, seeing what he had in the early rounds and working off that. Stepping in there today, I didn’t get to that point. I was going to start warming in to it. 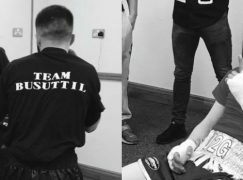 Cordina prepared for the fight under the guidance of Tony Sims, the Essex-based trainer who he’s worked with since the start of 2017. The latest training camp included a spell on America’s West Coast, a thriving hub of world-class activity amongst the lower weight categories. It served as an education for Cordina, who still feels he has plenty to learn about the sport despite having been all over the world over the past couple of years. The latest lessons came amidst some very impressive company, including a pair of three-weight world champions. He said: “I’ve learned a lot in this camp. We’ve been in LA [Los Angeles], seeing how all the Americans train, how the coaches handle the fighters. Being around Tony Sims and learning what he’s teaching me is great. 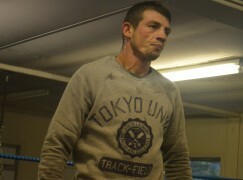 “I live with Ricky Burns. He’s a three-weight world champion and he’s probably one of the most disciplined guys I’ve seen and he’s a great fighter, a great role model. Me training alongside him, it shows me what it takes to get to the top, where he’s been.